A senior Iranian analyst has warned that Tehran needs to be very watchful in its relations with Baghdad, as the Arab country has no choice but to create a balance in its relations with Iran, Saudi Arabia, and the US if it wants to remain stable. Following Iranian President Hassan Rouhani’s recent trip to Baghdad and the signing of an agreement between Iran and Iraq, a high-level delegation from Saudi Arabia went to Baghdad to sign Memoranda of Understanding, in particular on Iraqi electricity exports. 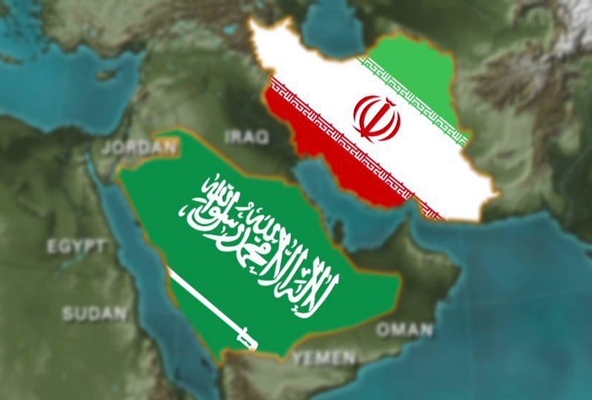 However, this rivalry between Riyadh and Tehran to keep Iraq for themselves is basically wrong, since, unfortunately, Saudi Arabia is not a nation that behaves on the basis of norms and international relations. The desire to keep Iraq by the two countries comes in a situation that it should not be forgotten that Iraq is an independent state, and the Iraqi government [for sure] plays a role [in this game]. The fundamental role of the Iraqi government is to tell the other states in the region that it is independent and establishes a balance in its relations with all countries. This means that it will have high-level relations with its two neighbours, and will also be more involved with a country with less trouble in relations. These days, the international community does not have very good ties with Tehran because of US sanctions against the Islamic Republic, and it is believed that relations with Iran will upset the United States! Moreover, it should not be forgotten that Iraq is an Arab state and normally gives priority to ties with Arab countries rather than Iran. However, it has a kind of rivalry with Saudi Arabia as Iraq is a Shiite-majority country and Saudi Arabia is an authoritarian Sunni state. Iraq knows that Riyadh is trying to establish a foothold in Baghdad. All in all, the Iraqi government has to think of its own security and not annoying Iran, Saudi Arabia and the United States. In the meantime, not upsetting the US is more important than others. Iraq is still occupied by Washington and part of the federal government of Iraq is under the influence of the United States. The tensions between Iran and the United States in recent days, which could be the beginning of a war in the US, will make it important for Iraq to keep itself away from this war because Baghdad does not want to be destroyed once again. Anyway, Iraq is trying to be independent because it is vast and rich and it is more inclined to the Arab world. Iraq is going to be the strongest Arab country and will go back the same way again. Considering its geopolitical conditions, wealth and position, it is necessary for Iraq to stand again on its own feet. Therefore, it must be acknowledged that Iraq will not allow Iran and Saudi Arabia to turn Baghdad into their scene of rivalry at all. For this reason, Iran must try to establish close relations with Iraq under equal circumstances, not as a supporter.